You're browsing our International Store. Switch to the COUNTRY NAME to see pricing and availability. Do you want to switch stores? Don't know where to start? Try one of the queries below. Built-in fireplaces from EcoSmart Fire. Let your imagination and creativity transform your living space for heart-warming moments. Thanks to their unique design and sleek finishes, a portable ethanol fireplace enhances any space you desire. Our clean and simple accessories have been designed to improve the safety of operating an open fireplace without compromising the view to the flame. Special deals, big savings and limited-time offers. Shop products in perfect conditions with no defects. The Base complies with the ACCC Safety Mandate. Make Base your centre for relaxation and entertainment. 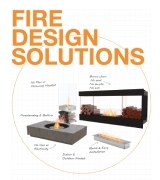 Its concrete composite construction results in a sophisticated, lightweight and durable outdoor fireplace. Base's solid geometric shape adds instant appeal to modern exteriors and minimalist landscape design styles. When placing an order with EcoSmart Fire, you have 2 shipping options to choose from. To ensure your order is processed without delay, please identify your shipping preference at the time of order along with any special delivery instructions. EcoSmart Fire's ship from Sydney. Standard delivery provides ground delivery to the easiest access point on your property and does not include inside delivery, packaging removal, or assembly. Standard delivery is 2-5 business days for QLD, NSW & VIC shipments and 5 - 7 business days for WA, ACT and TAS shipments from the date of dispatch. For larger items shipping cost includes a tail lift and two man delivery. An order con rmation following receipt of your order will advise the most accurate Expected Ship Date as known at the time of your order. Should this change in any way, we will contact you directly. Outdoor covers ship for free when shipping with an EcoSmart Fire. 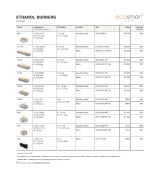 e-NRG Bioethanol may ship separately from EcoSmart Fire orders and may arrive on a di erent day. An individual tracking number for your e-NRG Bioethanol order will be emailed to you. 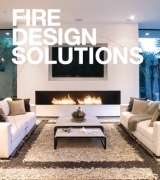 At The Fire Company Pty Ltd, we believe in supplying you with the best, most user friendly fireplace and providing you with the means to keep it that way. Many aspects of the EcoSmart Fire are hand-produced, hand-finished and use natural materials, which makes them subject to variations in finish and size. All of our pieces will mature and age over the course of time, through natural processes associated with use and with heat and flame. These changes are an essential part of the dynamic of the piece. The Fire Company Pty Ltd reserves the right to make minor amendments without prior notice. Warranty from date of purchase on stainless steel parts including raw, linished and powder coated. Warranty from date of purchase on mild steel including powder coated and chrome plated, cement, glass, leather, fabric and MDF (painted or cement rendered). Chips and scratches are not covered by warranty. Natural variation in color, texture and porosity may occur with Concrete Composite products and are considered inherent and valued qualities of the material. Non-structural hairline cracks are possible and shall not be considered a manufacturing defect. Need Help? Request more information or call +61 (2) 9997 3050 to speak with a specialist. Handcrafted to ensure a smooth and consistent finish, this sizeable firepit is designed to complement a variety of decors. Concrete composite construction results in a sophisticated, lightweight and durable outdoor fireplace. EcoSmart’s Base firepit is fuelled by liquid bioethanol, an environmentally friendly, readily available, renewable fuel source. Includes durable polished composite concrete surround, EcoSmart’s 304-grade stainless steel burners, and pebbles as decorative media. Solid geometric shape adds instant appeal to modern exteriors and minimalist landscape design styles. Pair with an optional tempered glass fire screen, which stabilises the flame in windy conditions and provides additional safety and comfort. Our collection has been thoroughly tested against a number of global standards and are UL Listed in the USA, Certified for EU and UK in accordance with EN16647, and satisfy the ACCC Safety Mandate for Australia. Technical information about the model and the included burner. Clearances & Installation information about the product. Installation, operation and maintenance manual. find what you need, please contact our team. Colours Comes with Black Glass Charcoal as decorative media. This model is manufacturer approved for use with the UL Listed AB8 Burner. a stable flame pattern and will last a lifetime. *These values are indicative only and may vary depending on the model purchased, installation environment, and the composition of the e-NRG bioethanol sourced in each country. This model comes with accessories to ensure the safe operation, including a Fire Lighter, Lighting Rod, Jerry Can 5L, Black Glass Charcoal and AB8 Efficiency Ring. flame that is simply mesmerising. heat in - no smoke, no soot, no ash. ethanol fires - your comfort first. it burns for the longest time. which makes it the safest available. Simple, elegantly shaped fire combining earthy materials and the element of fire. Blending the simplicity of an outdoor fire pit with the functionality of a standalone table. any questions you may have. needs of our valued partners. the main benefits of Flex. We aim to get back to you in under 24 hours - if this timeline doesn’t suit your immediate needs, please do not hesitate to contact us by phone +61 (2) 9997 3050. Look Book 250+ pages of design inspiraton from our valued customers. Technical Book Extensive document with installation and design details. Price List Interested in our products? Download the MSRP price list. 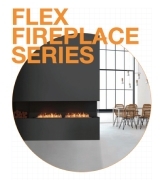 Flex Brochure Ensure your next project includes a captivating fire feature.